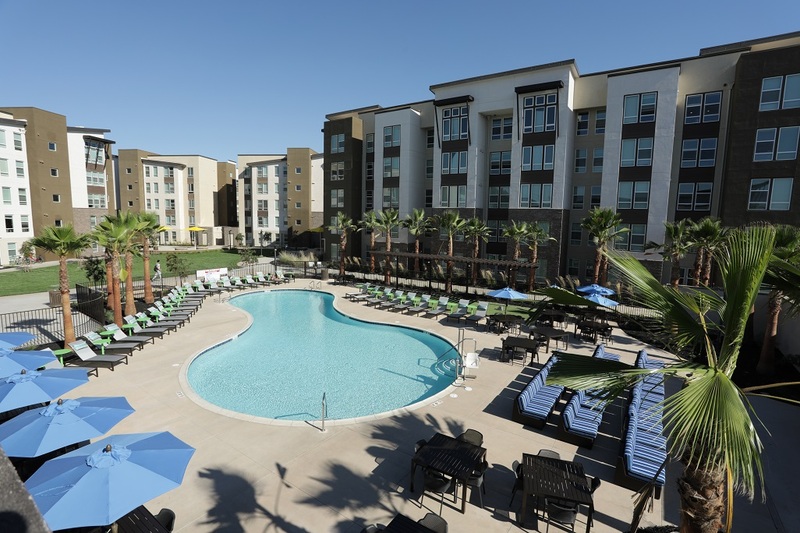 The Crossings is a new 225-unit, student housing community that provides 750 beds to serve the students of California State University, Sacramento (CSUS). 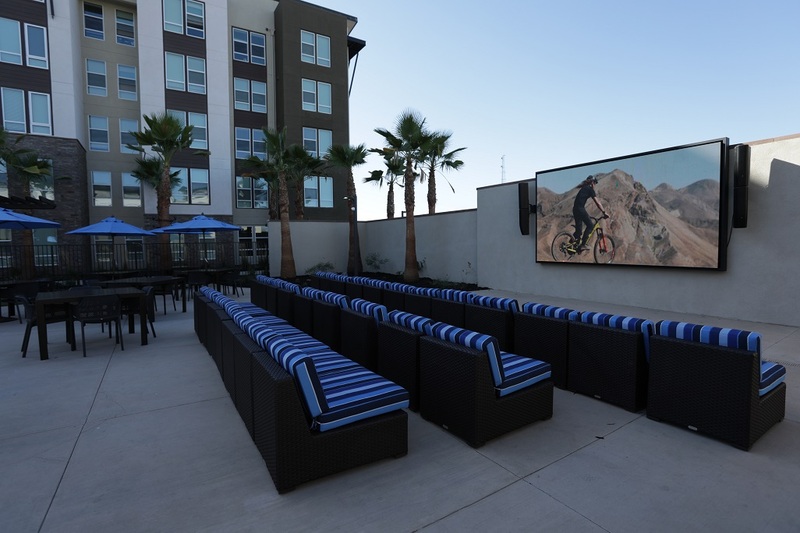 The new community features state-of-the-art amenities and pedestrian-friendly proximity to the CSUS campus, only 0.2 miles from the University’s south entrance. 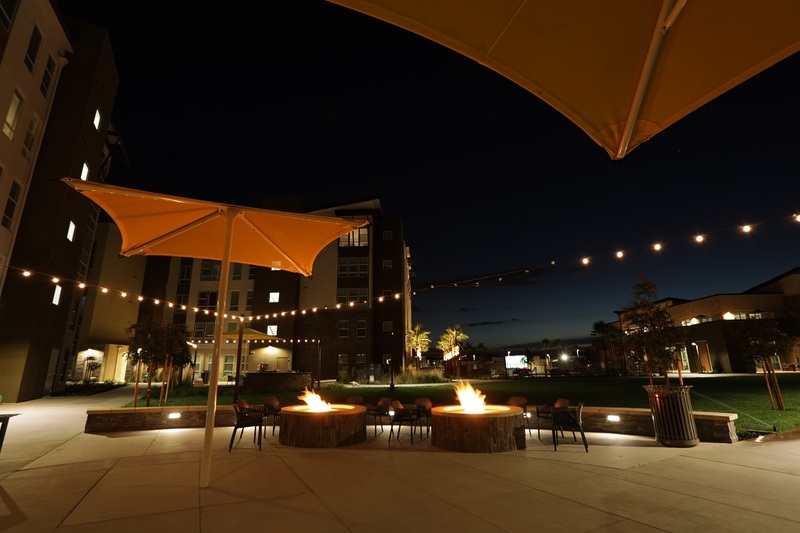 Designed by leading student housing architect Humphreys & Partners Architects, LP, The Crossings is within the 240-acre Sacramento Center for Innovation Specific Plan, an area that is designated to foster the exchange of technical knowledge and expertise between students, faculty and innovative businesses and technology companies. 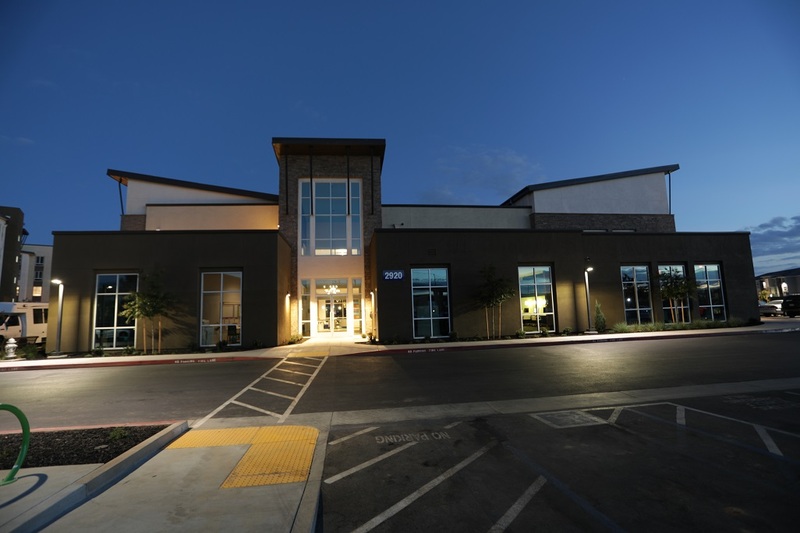 The Crossings houses an 11,000-square-foot Center for Innovation as a central commons for students, faculty and businesses to exchange knowledge, build connections and stimulate innovation. 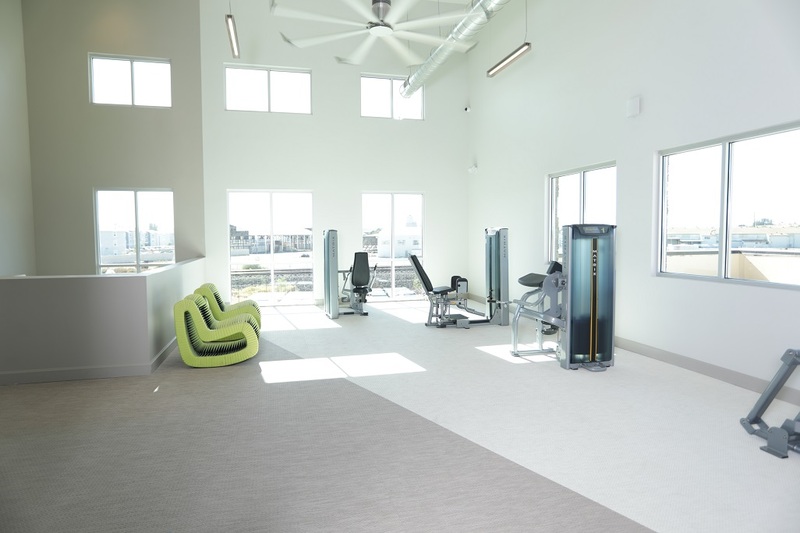 It also offer spaces for retail shops, an eatery and convenience stores. 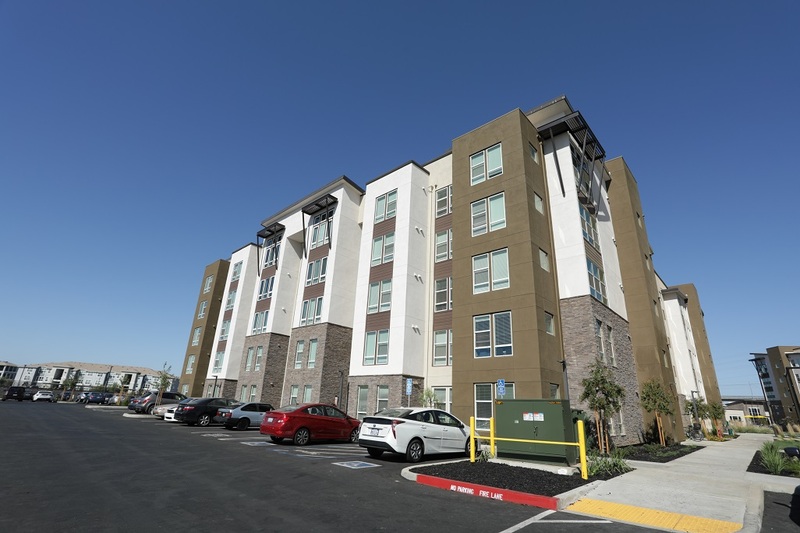 The 9.05-acre student housing community is LEED silver certified, and features energy-efficient elements such as Energy Star appliances. 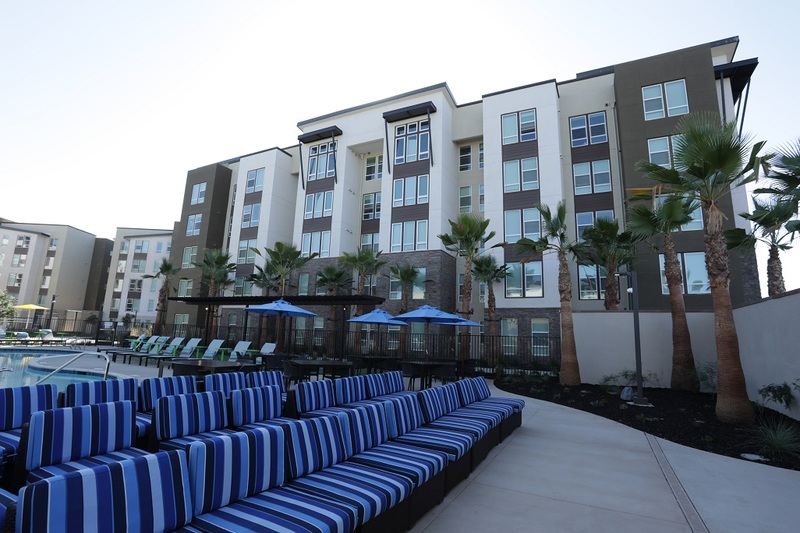 The community includes three five-story wood-framed, elevator-equipped student housing buildings totaling 334,250 square feet; a 14,800-square-foot clubhouse with outdoor basketball court and a resort-style swimming pool; and the Center for Innovation. 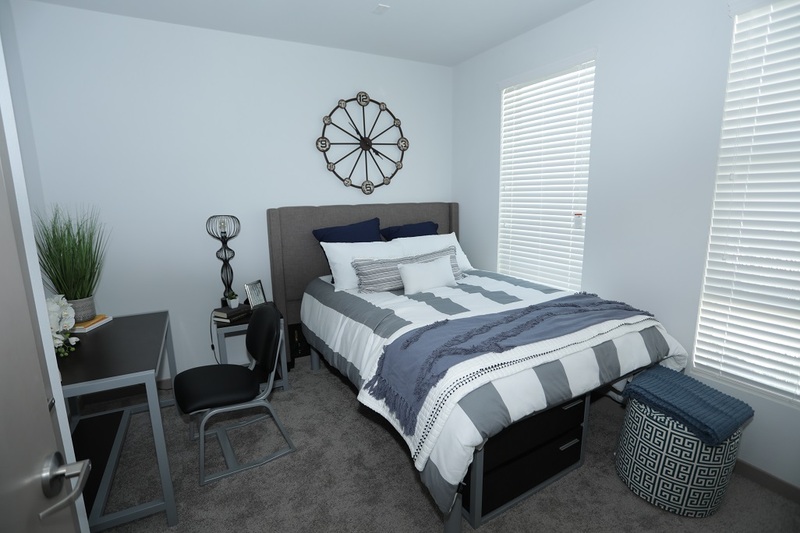 Students at The Crossings live in residential suites with full-sized kitchens, living areas and one to four bedrooms per unit. Each student has his or her own private bedroom and bathroom individually keyed for privacy and security. All student residences are fully furnished and feature hi-speed wi-fi for internet connectivity. All buildings are protected with an automated fire/life safety system, access controlled-entries and a video surveillance system.